Naniwabashi Bridge spans the Old Yodo River and was completed in 1915. The bridge was, and still is, well known for its lampposts and stone statues of lions. 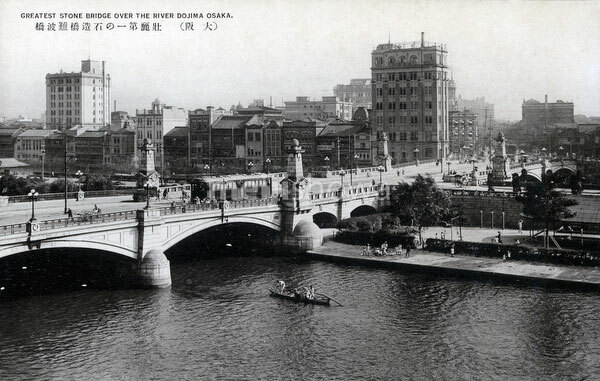 It featured impressive stone steps leading to Nakanoshima Island and the waterfront park which was under construction at the time the bridge was built. It still stands and is one of the oldest Western style bridges in Japan. This photo dates from the late 1920s, early 1930s.